What’s not to love about this salsa? This recipe is easily modified, depending upon taste and preference. Combine the above ingredients together in a large bowl. Mix well. Season with salt. 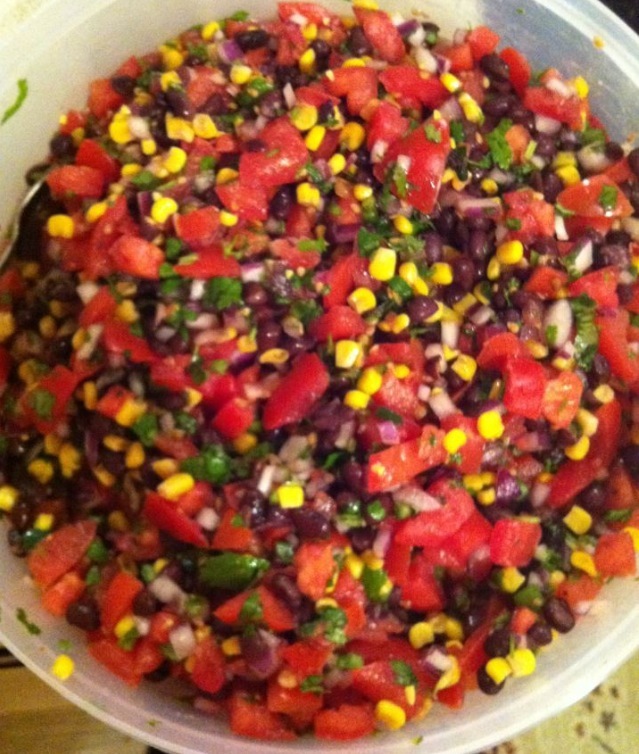 This salsa is versatile. Serve with chips, serve over grilled chicken breasts, add to your salad, or top a quesadilla.